The Amant Chronicles, authored 2017 by M. J. Brunnabend, comprises an enthralling science fiction tale adapted well to the needs of die-hard fans of the genre. The book even stands out as being among the very best independently authored works of its genre. 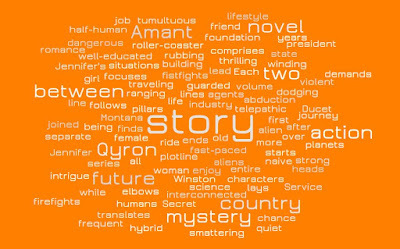 Among the characters, Amant Ducet is an alien-human hybrid, whose adventure takes place centuries in the future. Human girl Jennifer Winston's abduction creates the background for a story filled with thrills, featuring interstellar intrigue, spies, and conflict. Action and mystery await. Enchanting romance is also added to this high-velocity space opera story. Strong female characters dominate the plot, and mystery drives readers on desperate to know what happens next. Independent publisher Maquis Books - now named Harry's Bookshelf - placed The Amant Chronicles on its shelves in January, describing the book as "magic" on 27 January.